This section contains the information related to the Pass Book functionality and its usage in iVend Retail Management suite. 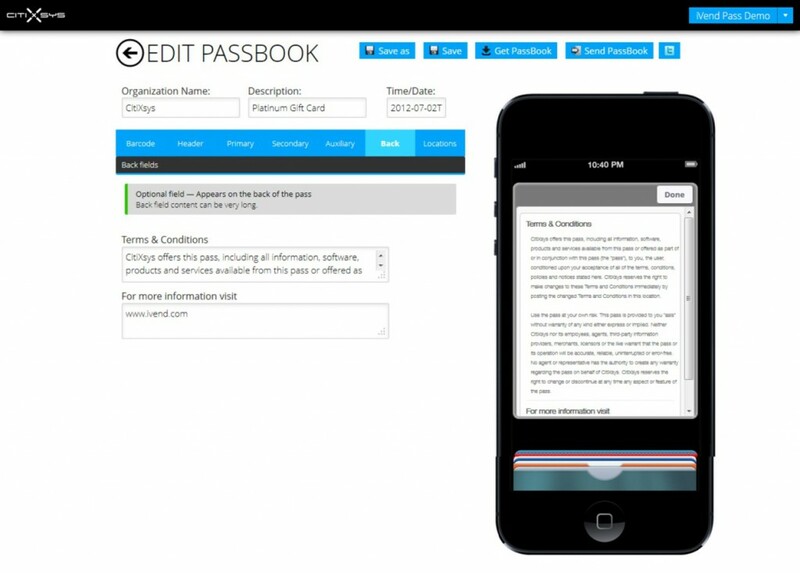 Pass book integration is available for the iOS and Android based devices. 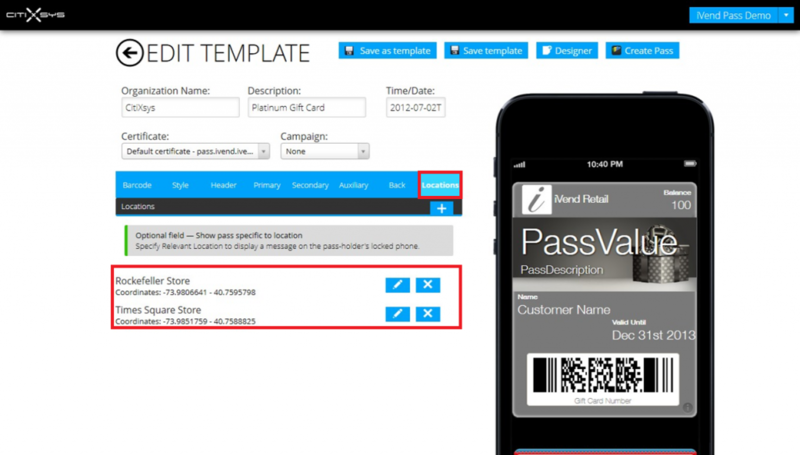 Sample templates can be used by the User/Customer for there operations. 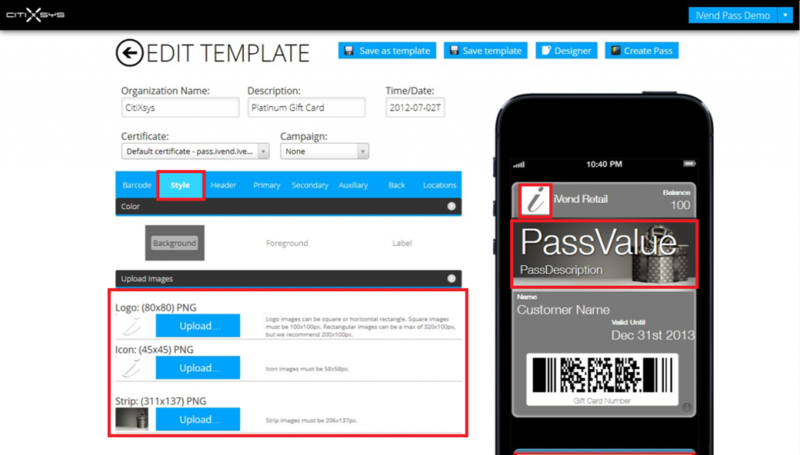 User can also create new template and Edit the existing template available in the logins. 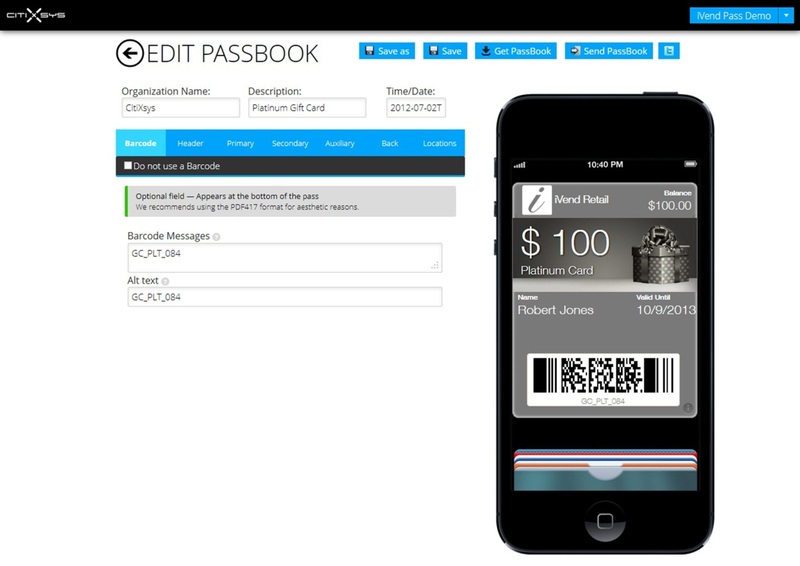 Pass book functionality has been designed especially for the iOS and Android devices. 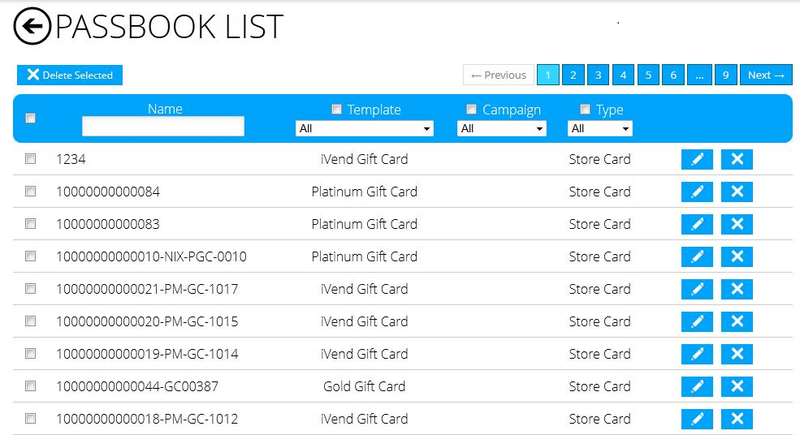 Users have to install iVend Retail version 5.7 and onwards to use this functionality. 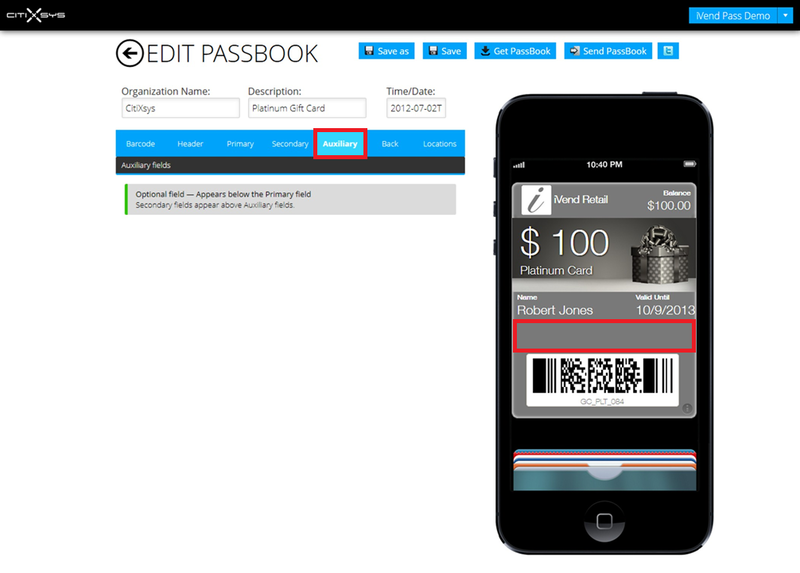 User can design certificates, coupons, and loyalty cards from the Designing tool available in the application. 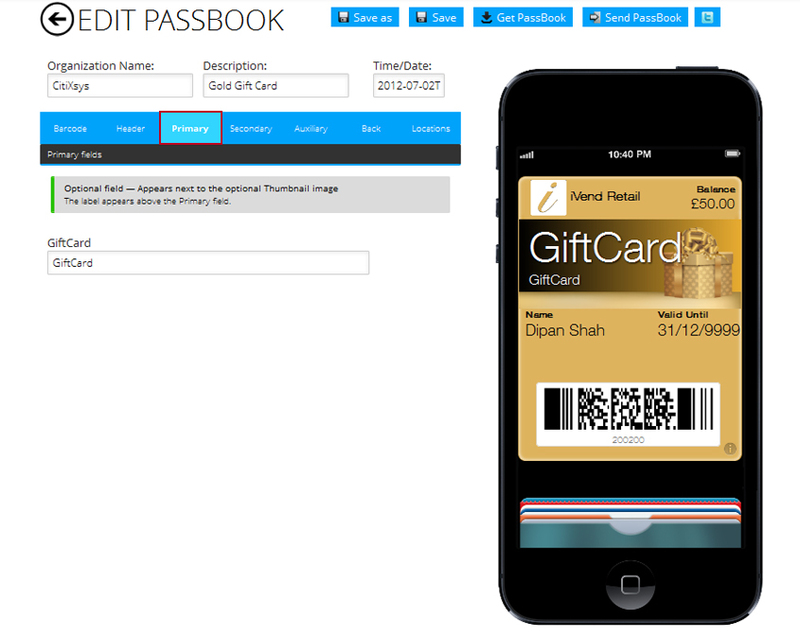 On selection of the Gift Card user can see the existing Gift card template available in the system. Also user would be able to change or create a new template for the Gift Card. Barcode : Click on this option in order to change the barcode related settings. Only two dimensional barcodes are supported in the Pass book and the barcode readers should also be 2D supported devices. Header: User can change the Header of the Gift certificate/Coupon/Loyalty card from this option. Also can add/edit the text as per their organizational requirement and same will be displayed on the device of the customer. Type Field : Keep the Type field as String. This notification could be in terms of Balance of the Gift Card etc. 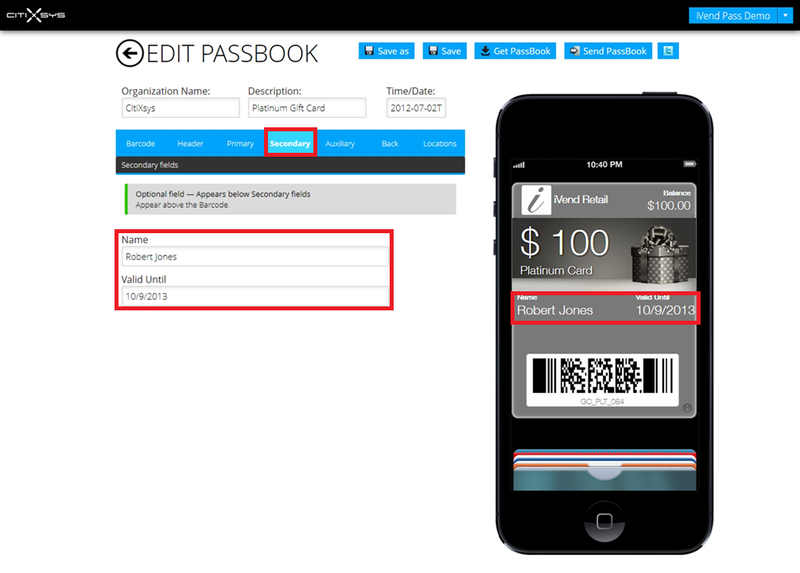 Primary : In this setup user can specify the text which can be displayed on the Pass as mentioned in the below picture. Please follow the screen Highlighted in Red box. Auxiliary : This is an optional field which will be displayed between secondary field and Barcode field over the POS. Here User can add some extra information to be populated over the Pass. 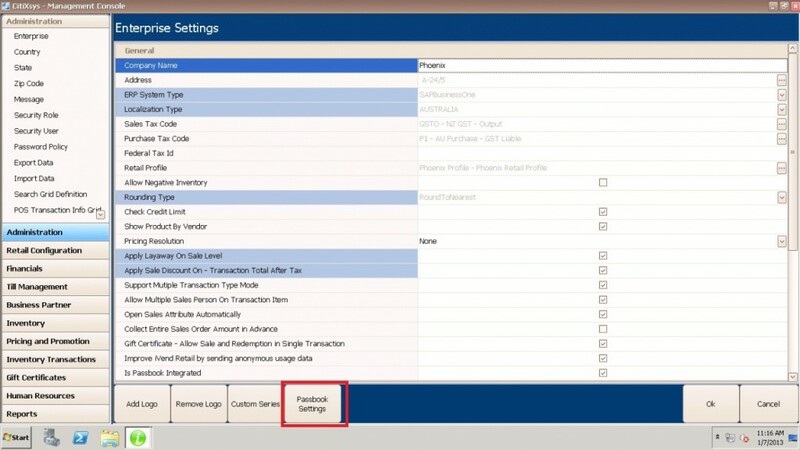 Back : This is again an optional field available on the Pass which will allow user to add information at the back side of the Pass and the content could be very long , For example user can add the Terms and Conditions for the Pass. Number of stores can be defined as locations in this (specifically the store locations) Pass , which will help the user to get an alert whenever the Pass holder (i.e. customer) passes through these locations or if the customer near to any of these geographic locations. 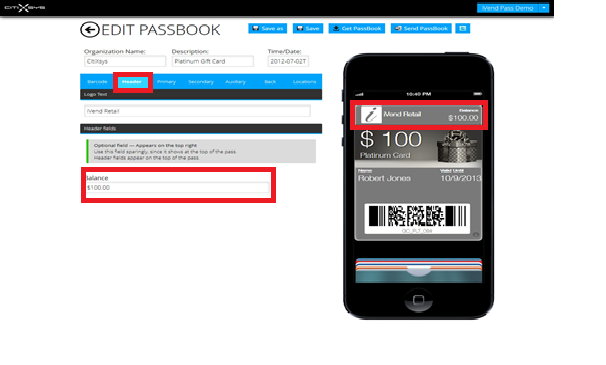 After adding the locations to the Pass user can view the list of locations as mentioned in the above picture. Refer the text marked with red box. User can view the number of Passes which have been issued to the Customers as on date. 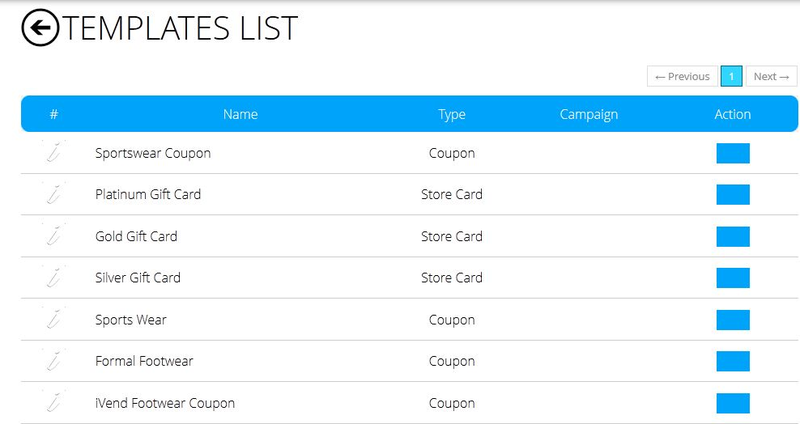 Complete list will be visible to the user with the inclusion of Gift Card, Loyalty Card and coupons, for Example if 5 loyalty cards, 5 coupons and 5 Gift certificates have been issued then this means 15 Pass books are issued so far from the store.User can view the Name, Template, Type (Coupon, Gift Card etc.) for each customer. 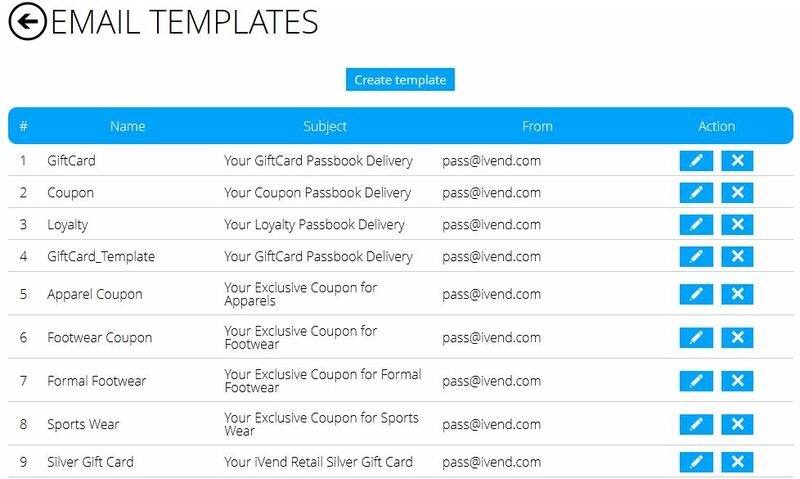 With this functionality user can set the templates for sending the email notifications to the customers who all have been issued the Passes. User can design his own templates by clicking on the Create Template button available on the screen. 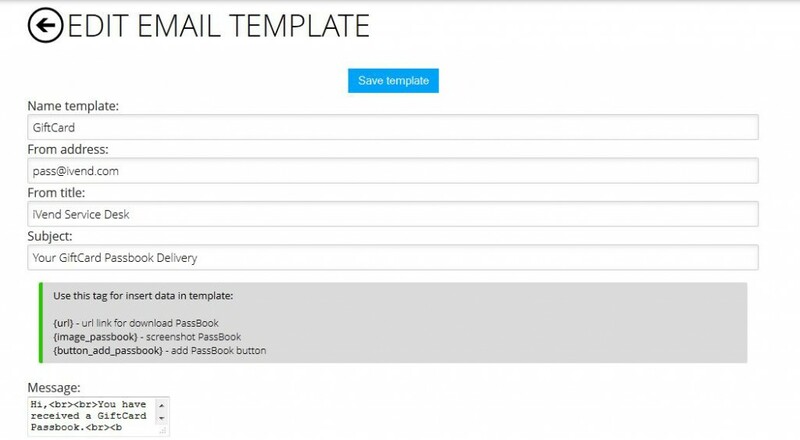 After creation of the same user can Save Template and use it for email notifications. User can view his Issued certificates in this section.